So lovely to capture a couple of hours in this family’s life. My favourite type of family photography is going into people’s homes and actually becoming part of their family for a short while. This is Petersfield family photography as I love it! It’s such a privilege and gives such a gorgeous insight into that family – allowing me to capture them as they are, how they live. These guys live in a beautiful cottage in the heart of the Meon Valley that they’ve renovated with such style. You would be forgiven for thinking you had arrived on a shoot for Country Living magazine. And they have an amazing new coffee machine which was delicious and made the house smell amazing. The kids just mucked around and we played, read a bit, had bubbles, played a bit more and I shot some photos in-between. Story telling family photography, I think, is so important. It tells the story of that moment in your life. (If you’re anything like me, I think I’ll never forget that moment. Six months and another stage in their lives later and I’ve already totally forgotten it.) 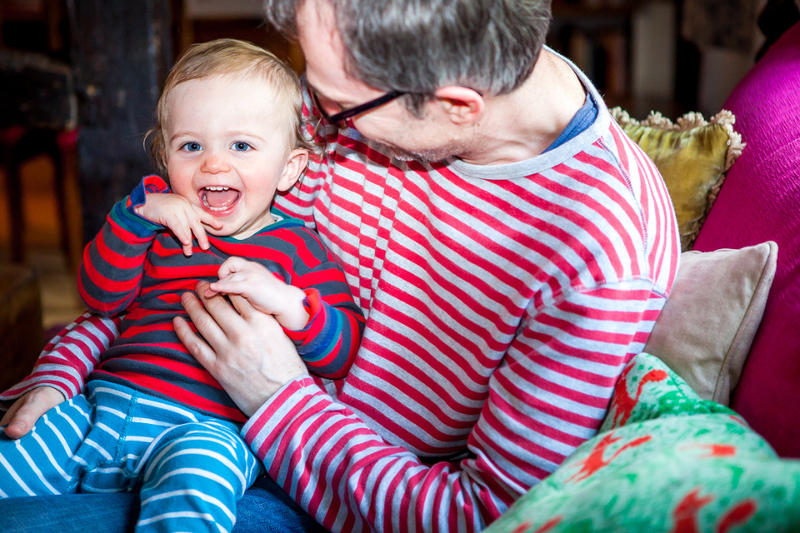 And it works even more brilliantly when the family is as lovely and stripey as this! © 2016 Rachel Ulph Photography | Hampshire Wedding Photographer|ProPhoto Photo Website Design by Northfolk & Co.